In Part Three of Light of Olympus (How to Be Super, Book 2), “The Map of Everything,” Dante learns more about his heritage as Zeus, and then goes to lunch with his grandfather and Charlie at a local Mexican restaurant in Marfa, Texas. Maybe you know this already, but Marfa is a real place. Originally a railroad water stop in West Texas, Marfa is now a gathering point for minimalist artists. Several movies had been filmed there, and — as Dante discovers — it's also home to the mysterious Marfa lights. Marfa has also become home to some very good eats. While there is plenty of fancier fare, if I were on a tour of Dante's adventures I'd hit up a local favorite called “Marfa Burrito.” It looks to be one of those simple places with sporadic hours and really good food. The kind of place that you just might run into someone famous — like Dante did — if you're paying attention as you nosh down your burrito. While I've never been to Marfa Burrito, this is how I'd imagine that my favorite Mexican dish, huevos rancheros, would be served up there. 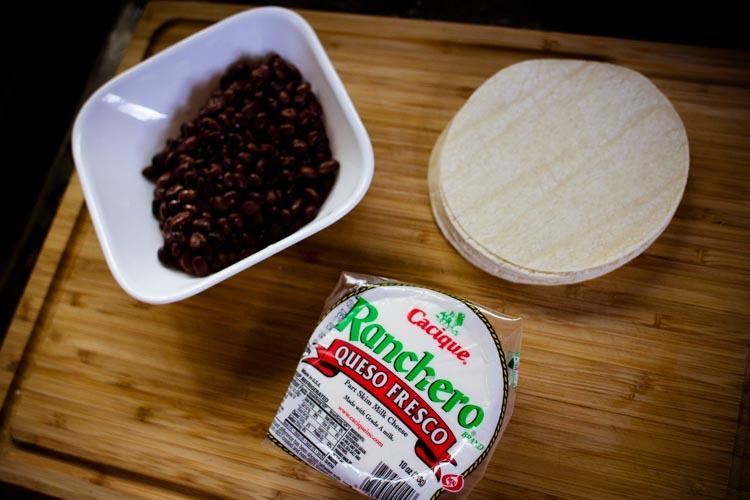 Gently warm the tortilla and black beans, and layer onto a plate. 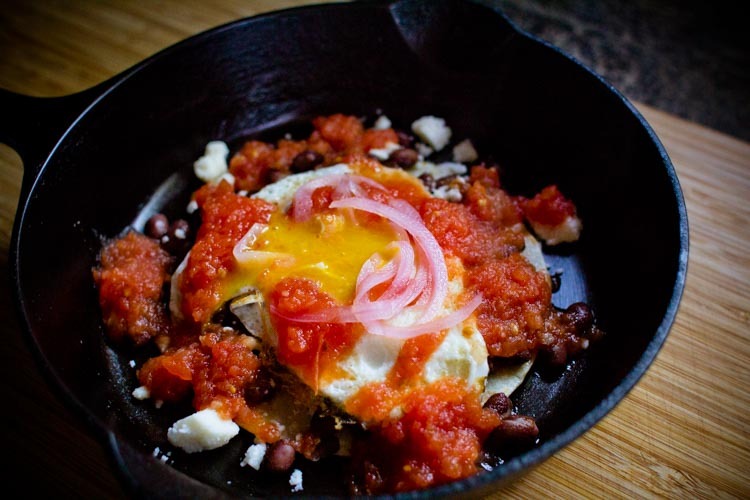 Fry the egg to your desired doneness — I like mine a little gushy in the center—and pile it on top of the beans and tortilla. Sprinkle on a few crumbles of queso fresco, a few big spoonfuls of ranchero sauce, and a few slivers of pickled red onion. Enjoy right away. Combine the tomatoes, their juices, the onion, jalapeno, and garlic in the bowl of a food processor and pulse until mostly liquefied. 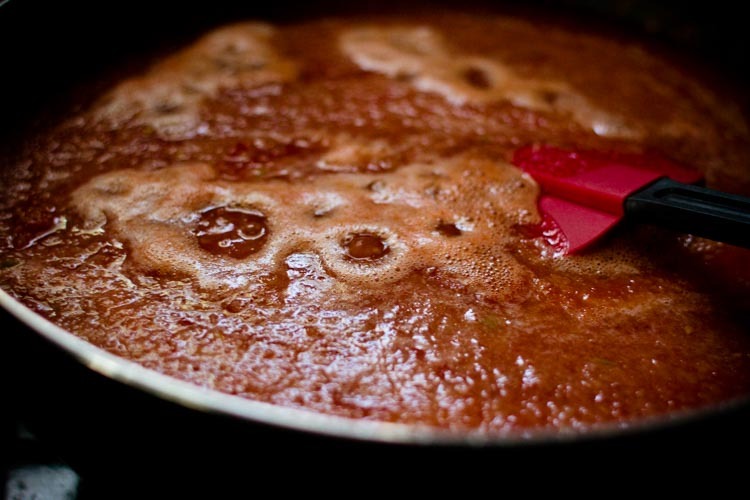 Pour into a large saucepan, add the chicken stock, and bring to a low simmer. Allow the sauce to bubble for 15-20 minutes before spooning it over your eggs. This recipe makes more sauce then you'll probably need for even four or five plates of huevos rancheros. I recommend freezing the leftover sauce in ice cube trays, then tumbling them into a freezer bag or container. 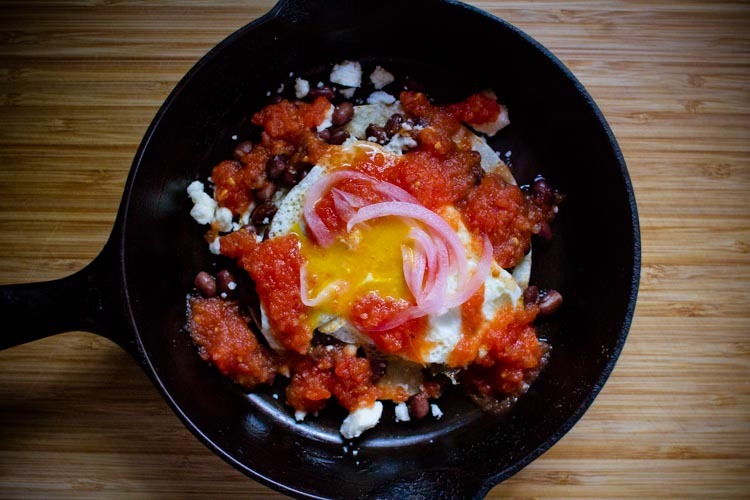 The sauce will keep that way for several months, and it makes it easy to enjoy later batches of huevos rancheros or just a mid-week infusion of flavor into your normal eggs-on-toast. Light of Olympus is a collection of thrilling stories that continue Dante Lee’s adventure with the Violet Crown — and introduces you to the full circle of modern day Olympians. Dante is charged with the task of uniting the gods for a single purpose: to prepare for battle with The Old Ones. In this collection Dante deepens his understanding of the Four Step Protocol for How to Be Super, and also learns how to make protective shields, track people by their “true scent,” and discern truth from lies by how he feels. He meets Iris, the messenger goddess, who remembers everything — even things long before she was born. He meets Pan, a wild hitchhiking hotel owner who delivers a haunting message. He also learns about The Old Ones, the Map of Everything, and finds out his parents and grandparents knew a lot more than he first thought!